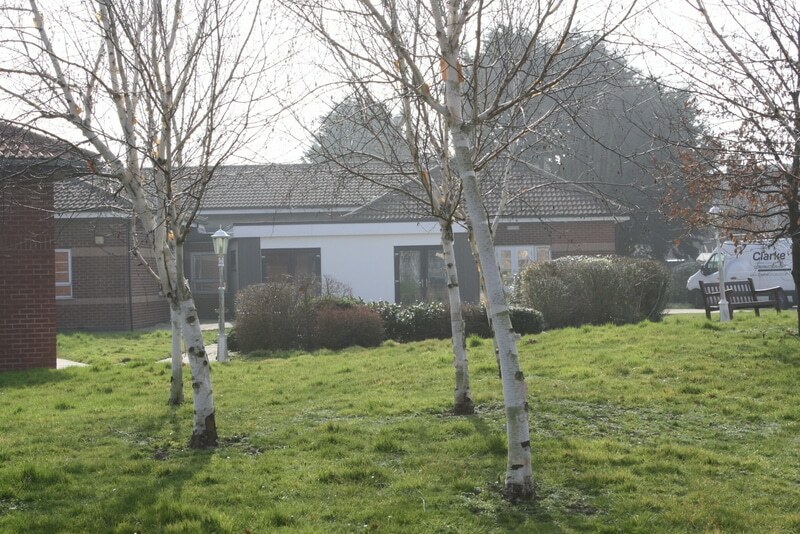 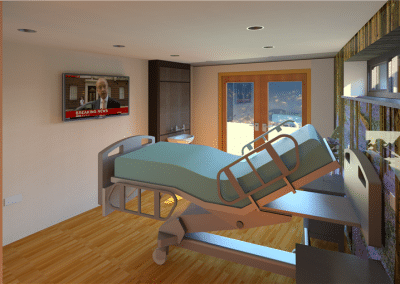 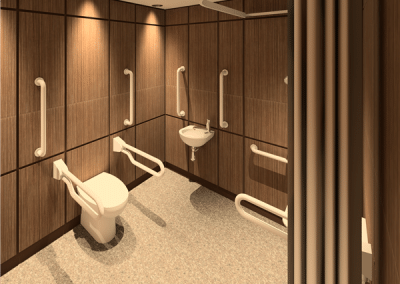 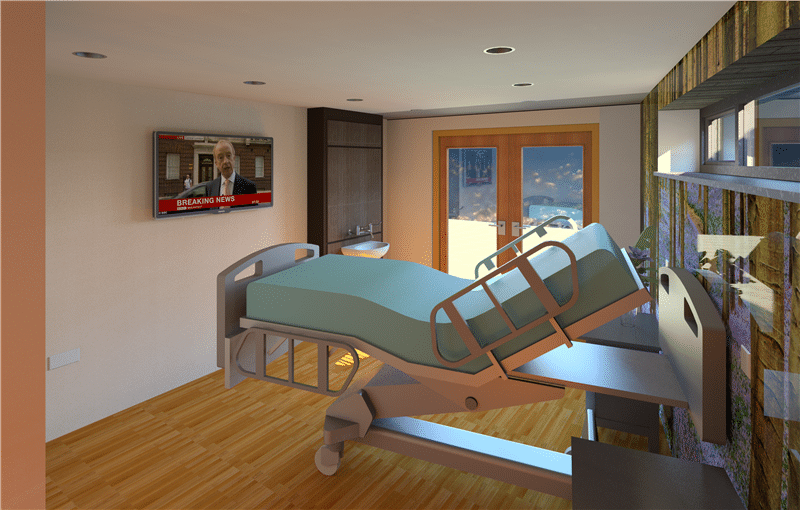 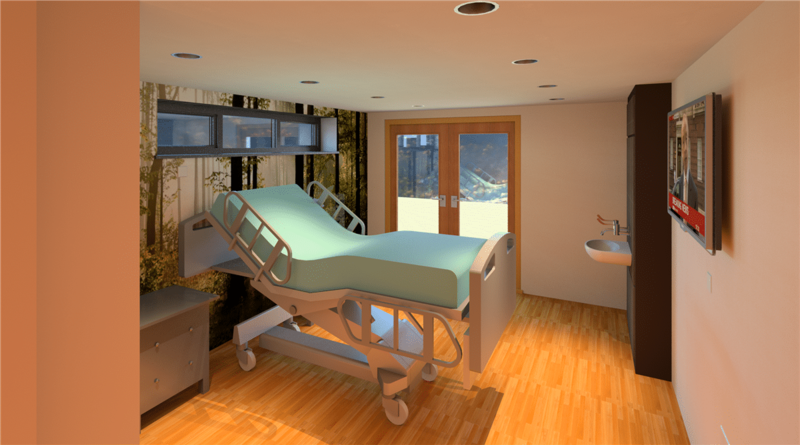 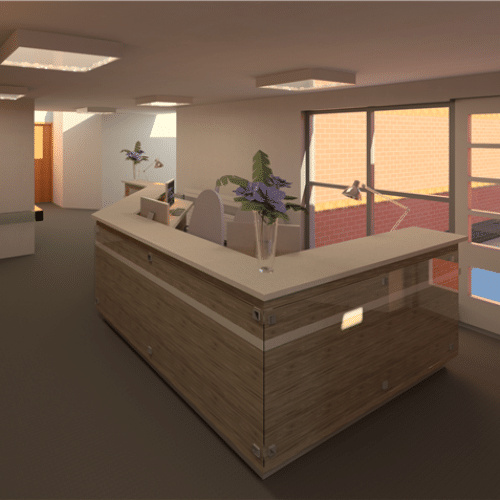 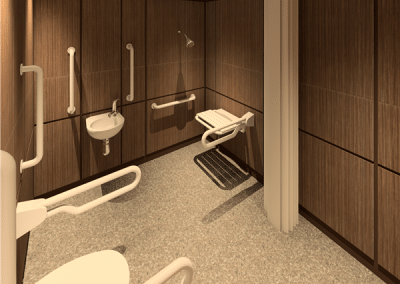 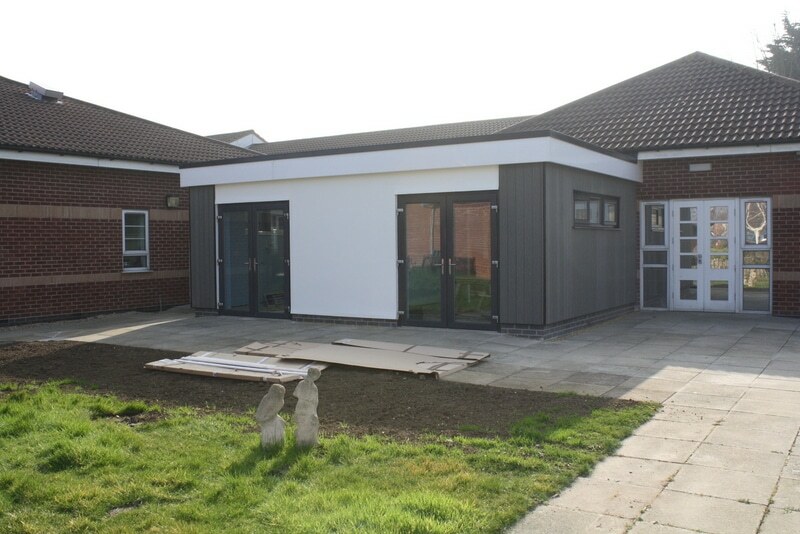 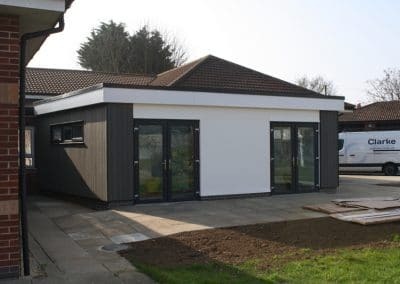 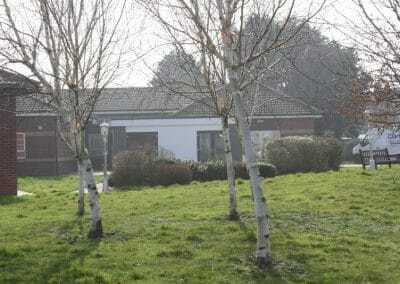 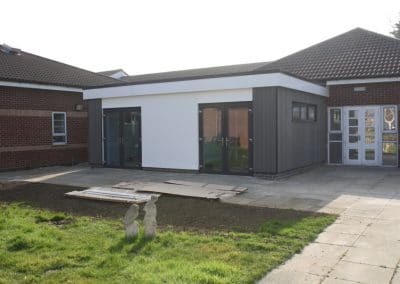 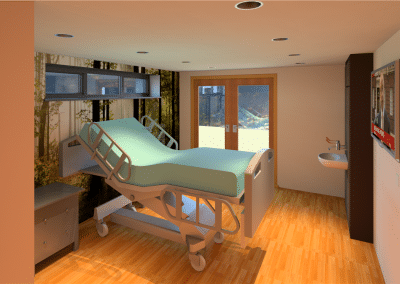 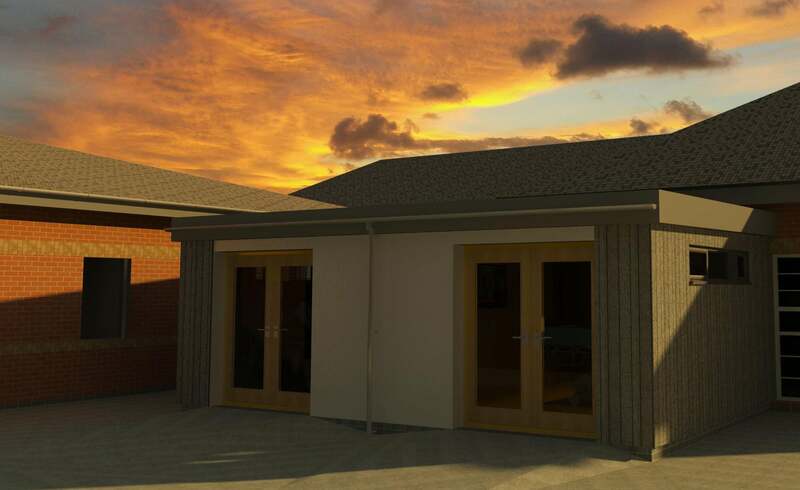 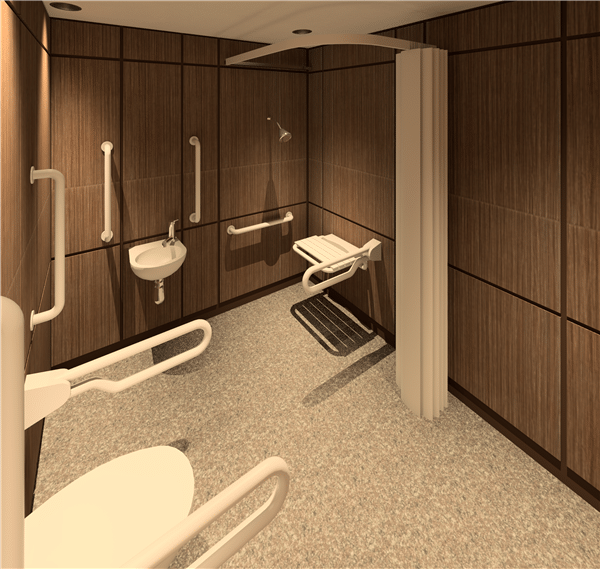 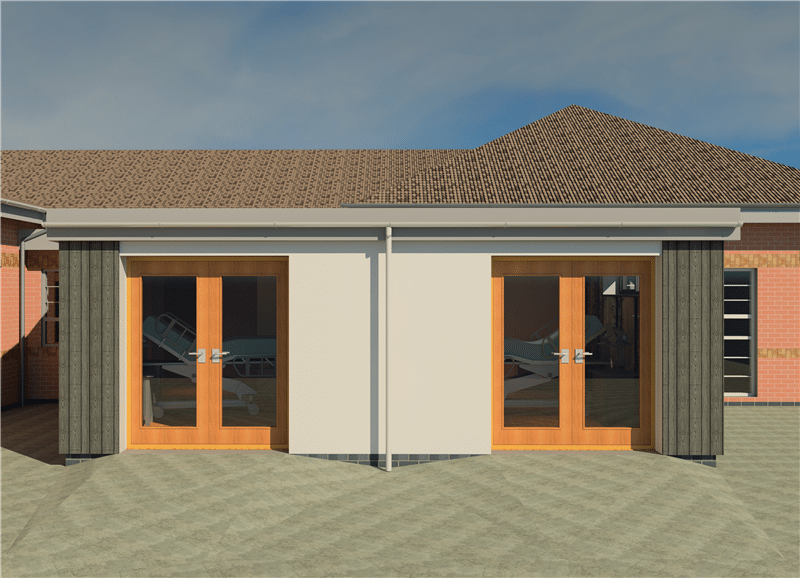 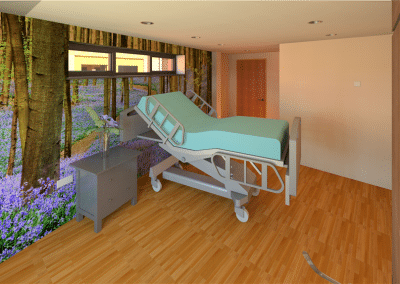 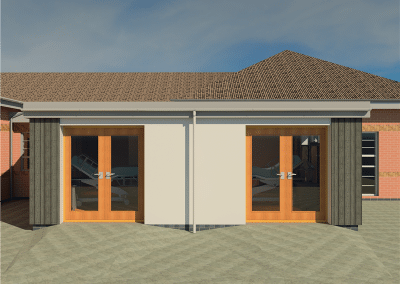 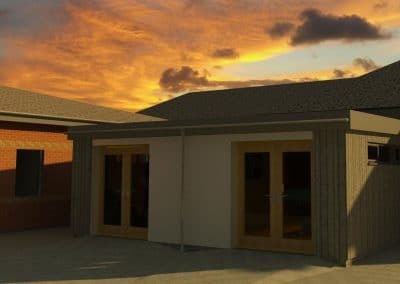 This was a palliative care unit that we were commissioned to design two new bedrooms and en-suite wet rooms for. 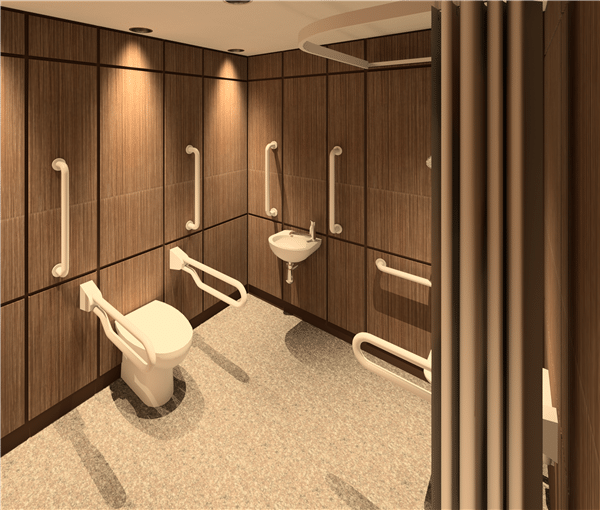 We wanted to create as much of a hotel feel to the design as possible, incorporating professional and peaceful wall murals and modern bathroom IPS systems. 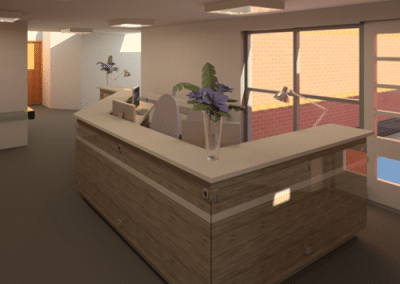 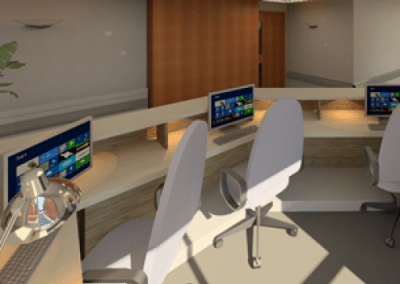 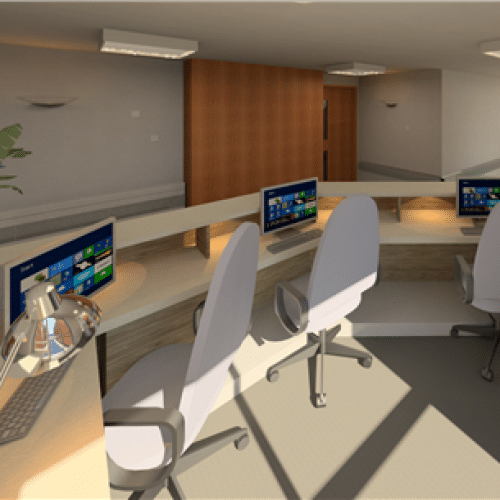 Unfortunately, due to budget issues, the designs for the desk counter were excluded from the final scheme.